Technology is an integral part of our lives. We have become very dependent on the Internet, social media functions and mobile phones particularly smart phones. While there are those who understand and can use all of the functionality of these devices, many of us only know how to use the basics. The Internet is a great source of information but like any tool, the more you understand about its operation the more effective the tool can be. When people are conducting research they try to ensure that the information is accurate, pertinent and current. Challenges can arise when you want or need information about or from another country or culture. For example if a person wants to improve their presentation skills, they could do a search on Internet for ‘making effective presentations.’ While this will yield some very helpful tips, most of the information is from a US American perspective which is great if they are your audience. However, if your audience is Brazilian, Korean, Australian or multi-national these addressees have expectations that are not the same as US Americans which means the presenter could still fail to make an effective presentation. Similarly if we want information which is country specific the websites may not have the traffic to place them on the first few pages of our search. Country specific information is important when we are residing in a specific location, planning to visit it or when wanting to learn about the nuances and idiosyncrasies. Conduct the search in the local language. Searching in the local language solicits the best responses because the ‘clue words’ will match your search. 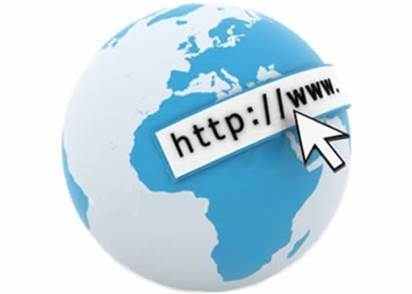 A person will receive an even higher degree of likelihood of accessing the best local, pertinent sites. However this isn’t always an option because it requires a skill that the person may not have. Target your research by constraining your search engine to a local area. For example when I want information in Belgium I use google.be. The .be is the country code for Belgium so my search is concentrated in Belgium and focused on Belgian resources. There are 15 major search engines and each has a system that allows a person to add parameters to their query. What is your experience with Internet country codes?